I'm really loving these gorgeous, one-color works by artist Valerie Roybal. 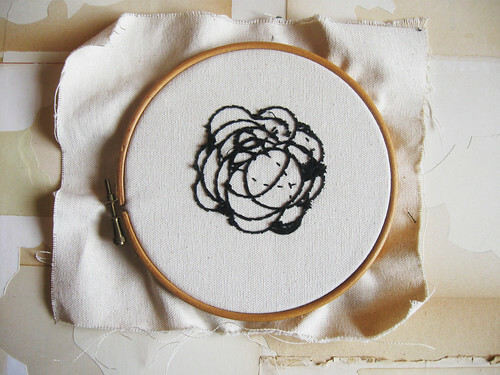 I love the delicate and unusual intricacy of her stitches, and the beauty she achieves using just one color, on white. See more in her Embroidery Set. Beautiful, Valerie! Glad to have found your blog (through your flickr group! ).